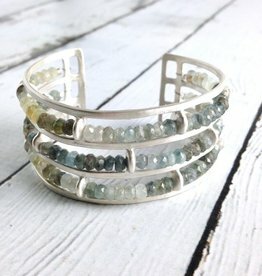 Handmade Matte Sterling Silver Wide Cuff Bracelet with 3 rows of Moss Aquamarine. 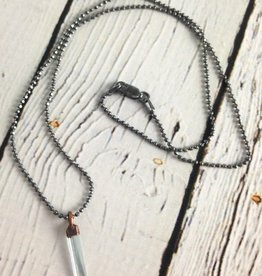 Bracelet is about 6” long and about 1” wide. Cuff can be adjusted to fit most any wrist. 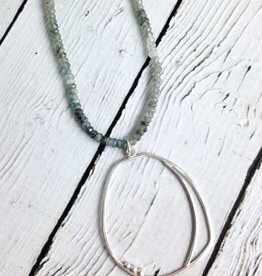 Aquamarine Crystal Necklace by Hawkhouse Jewelry.